When community volunteers gather in September to build the new Mickey’s Kingdom playground along the Evansville riverfront, 18-year-old Sophia Mazzocco will see her vision realized. The recent Memorial High School graduate and engineering club president designed the safety system for the $1.8 million-dollar project. “This plan incorporates blue light safety beacons commonly seen on college campuses into the perimeter of the playground allowing a quick and effective way to contact the police department in case of emergency,” Sophia explained. 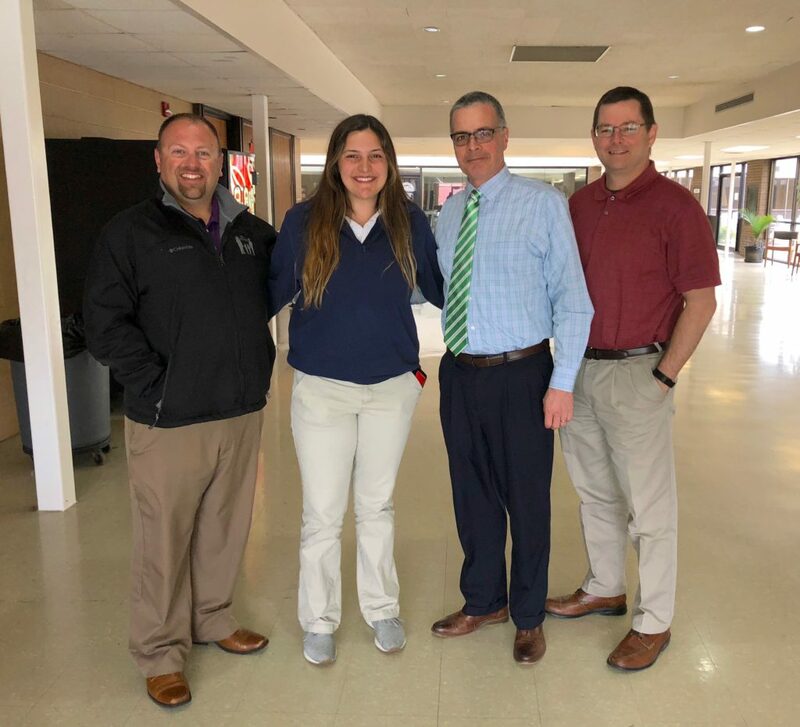 Sophia’s safety plan for the 20,000-square-foot, handicap accessible playground was approved by Evansville Police Chief Billy Bolin, Parks and Recreation Department Executive Director Brian Holtz and Deputy Director Utilities Program Management Office Mike Labitzke. Sophia with Evansville Police Chief Billy Bolin, Evansville Parks and Recreation Dept. Executive Dir. Brian Holtz and Deputy Director Utilities Program Management Office Mike Labitzke. In a few months, Sophia will start her freshman year at the University of Louisville where she plans to study civil engineering. She wants to one day start an engineering company that would also serve as a nonprofit platform to help with sustainable housing or agriculture solutions in third world countries. Before that happens, though, she’s interested in continuing a volunteer project at U of L that she became involved with as a freshman at Memorial: Dance Marathon for Riley Hospital for Children. 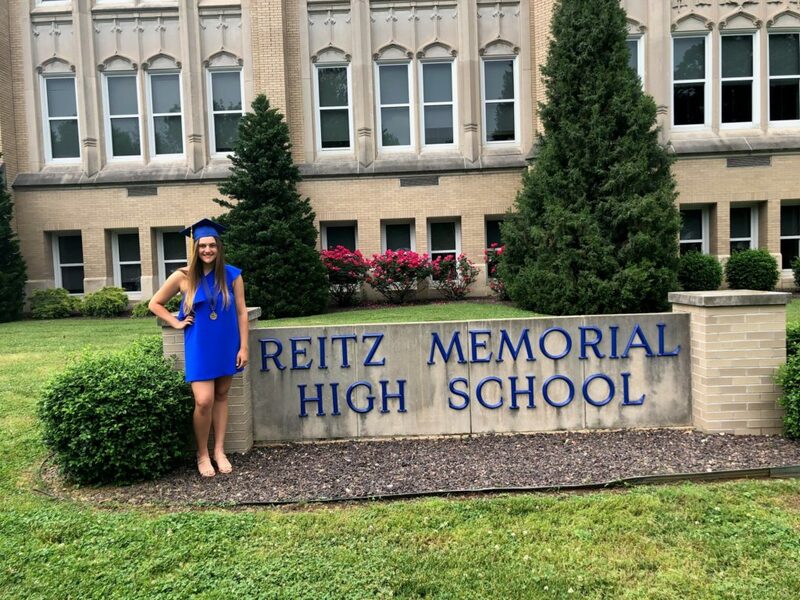 Sophia served as president of RMDM (Reitz Memorial Dance Marathon) her junior and senior years. The leadership she displayed and guidance she provided inspired fellow RMDM Executive Committee member Lily Koch to nominate her for June Youth of the Month honors. 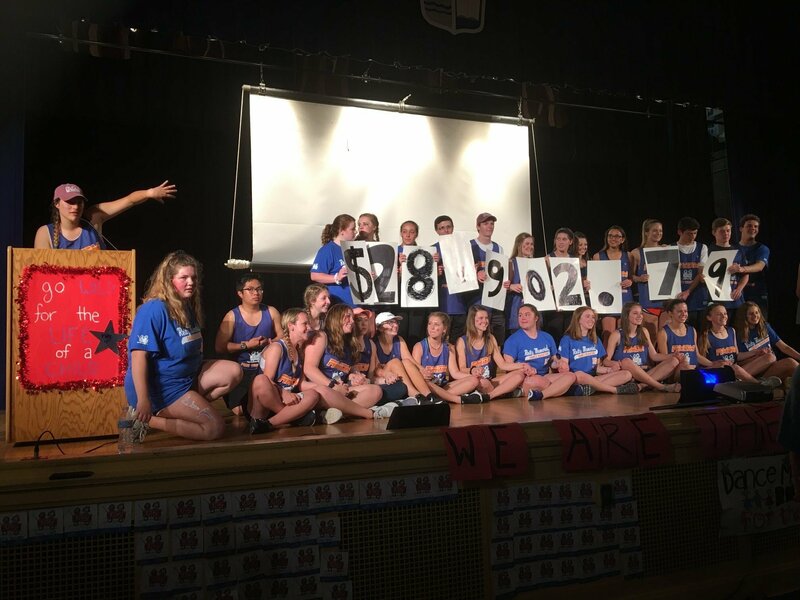 Sophia announcing the grand total raised by RMDM in 2018. “As I’ve grown throughout high school, I have looked to various mentors to model my actions and overall attitude after. If I could make a positive impact on everyone I met, I would, but it feels great to actually see the impact I have had on Lily,” Sophia added. This year, Sophia helped the RMDM team raise $28,902.79 and received the Riley Hospital for Children Next Generation Philanthropist Award. She also gives of her time as a volunteer for the St. Vincent de Paul Society by visiting families in need and collecting and distributing gifts during the holiday season. Sophia graduated from Memorial with a 3.9 GPA. 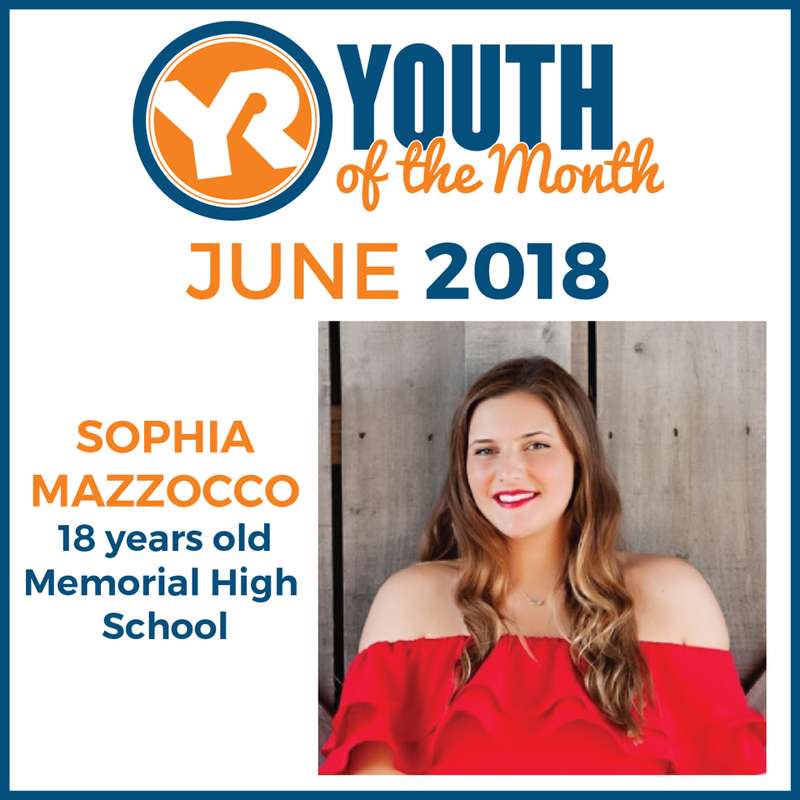 In addition to her service work, Sophia was captain of Memorial’s tennis team as a senior and was a member of student council, National Honor Society and the senior advisory council. As Youth Resources’ June Youth of the Month, Sophia becomes a YR Youth of the Year candidate. The Youth of the Year is named at Youth Resources’ Hall of Fame Celebration in April. Click here to learn more about Mickey’s Kingdom playground.